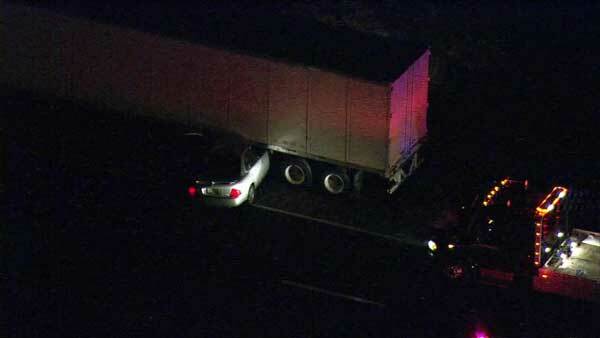 A car became wedged under a semi on southbound I-55 just past Weber Road early Tuesday morning. ROMEOVILLE, Ill. (WLS) -- A car became wedged under a semi on southbound I-55 just past Weber Road early Tuesday morning. Emergency crews were on the scene around 5:30 a.m. The car rear-ended the truck and ended up perpendicular to the trailer. Injuries sustained in the crash were not life-threatening.